Men are mesmerized by the beauty of nature, and men want to keep the nature for their own. 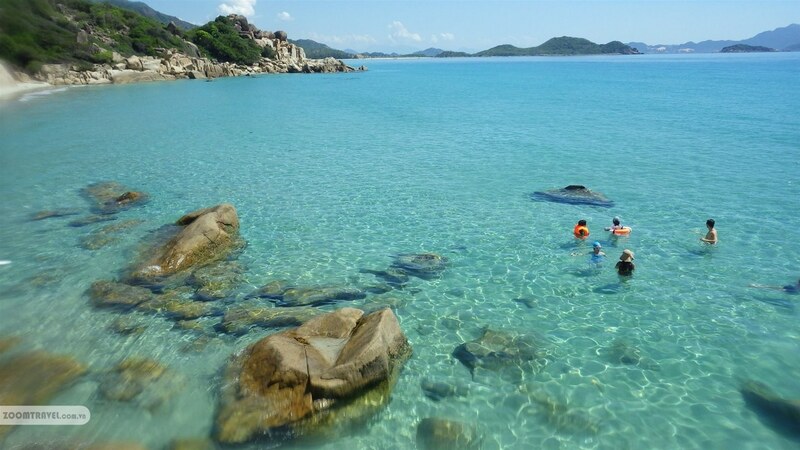 However, here in Con Dao Island, men cannot change the beauty of this wonderful island but can only watch and adore. For anyone has the opportunity to visit Con Dao, one can adore the white beach spreads for miles enfolded by the crystal ocean. 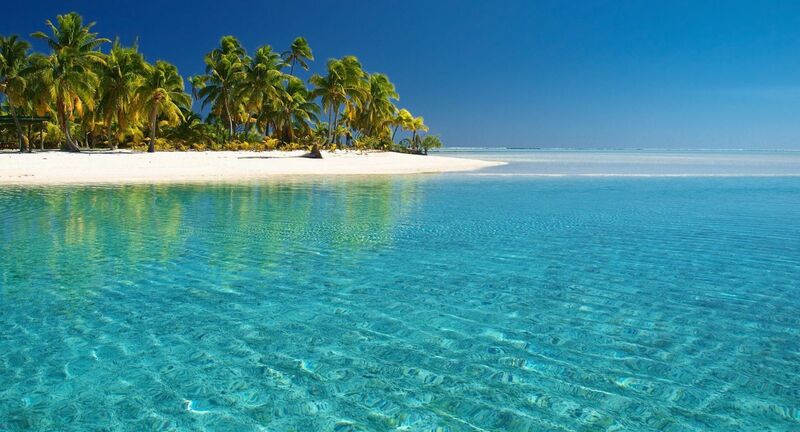 Following the white beach, long lines of coconut trees create the amicable green of paradise. 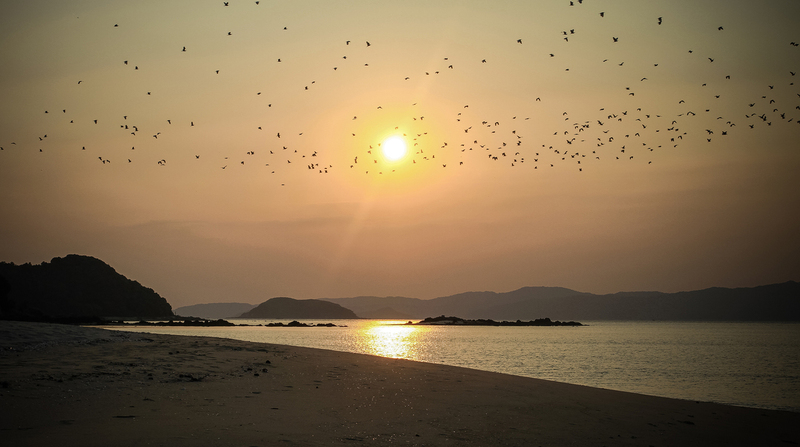 Coming to Con Dao Island, not only one can admire the beauty of nature, one can also taste and never forget the taste of nature. The saltines in the ocean’s culinary, the freshness of coconut milk, and many things more are awaited. 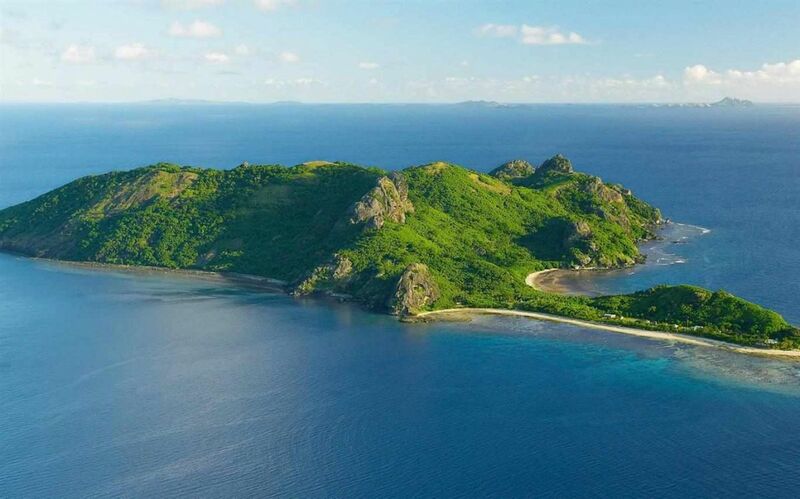 There are so many activities can do here in this island: dive oneself in the blue ocean, play with sea turtle or even dolphins, there are more about this island that one must know. The island is also a part of Vietnam history. It served as a prison camp in the French colonization, and also in the Vietnam War. Now, it is a footnote of history, a proof of what had happened in the past. This island is also the bury place of Vo Thi Sau, a hero in the war against the French before 1945. 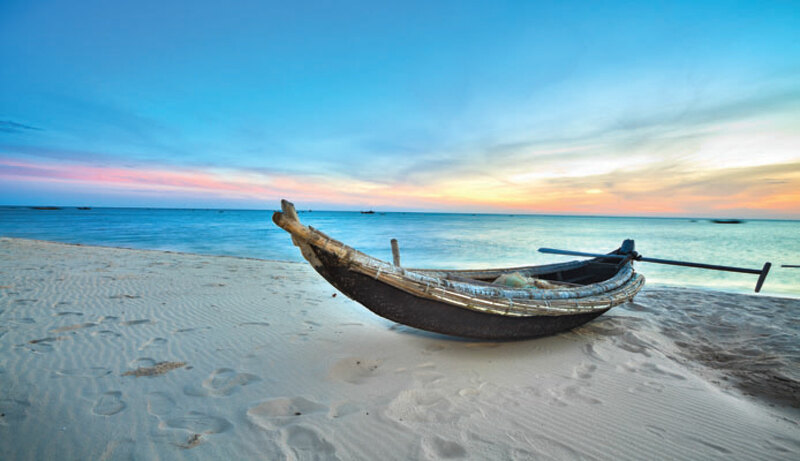 Talking about which are the most beautiful islands in Vietnam, Phu Quoc island is the one that you should not miss when traveling to the South of Vietnam. it was voted on top three most beautiful tourist attractions in the winter by National Geographic and in the top ten ideal beach attractions in Asia by Asiaone. In this beautiful island, you will enjoy the fresh air, spacious peaceful cool atmosphere which is far from the hustles of daily life. The crystal- clear sea, white sand, and coconut trees will always give you the greatest experiences and unforgettable memory. And the most wonderful way to explore Phu Quoc is hiring a motorbike and drive around the island. 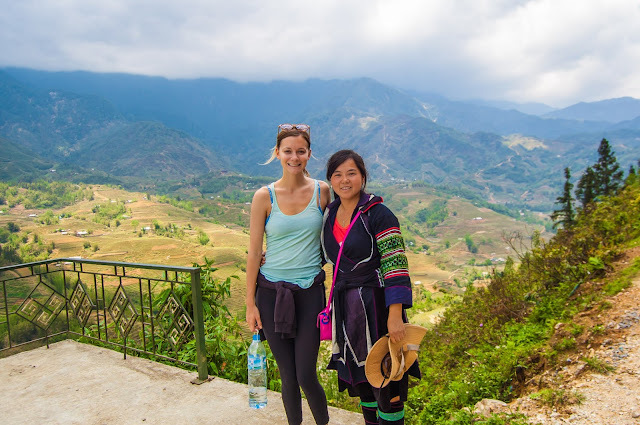 in May 2009 UNESCO Biosphere Reserve Cu Lao Cham – Hoi An was created which includes Hoi An Ancient Town, most of metro Hoi An, the river inlet, the ocean between Hoi An and Cham Islands as well as the islands. Humans have inhabited Cu Lao Cham for at least 2,500 years (whereas Hoi An only 2,000 years). These where holy islands to the Cham people (a Malayo-Polynesian people who originally settled in Sa Huynh, Central Vietnam, around 200 B.C. The Champa Kingdom was created in Hue region around 200 A.D. and lasted until 1835). 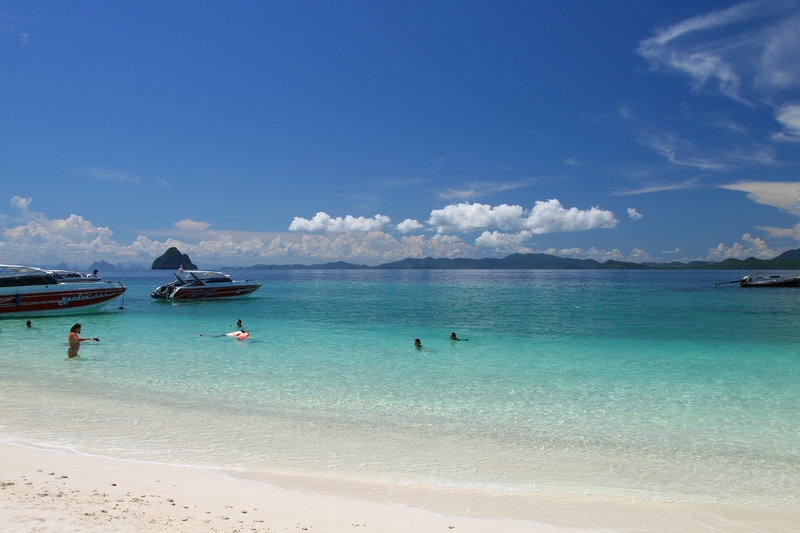 Cham Island is its wide variety of leisure activities in a picturesque and pristine setting. 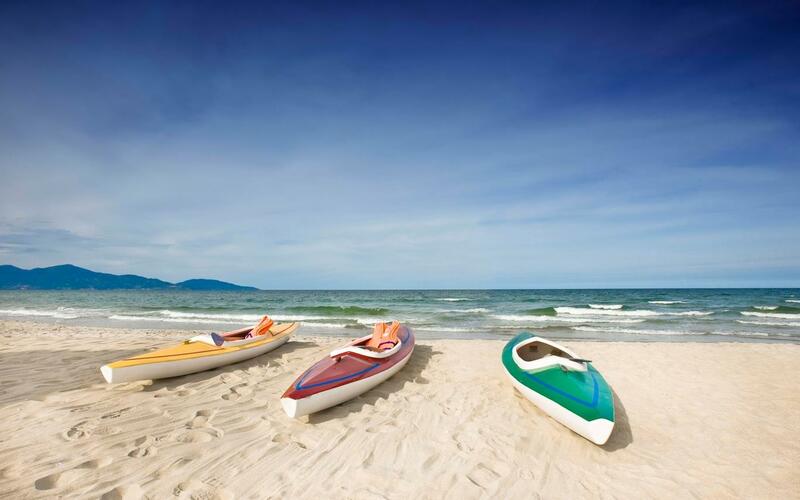 Traditional forms of recreation range from swimming on crystal-clear beaches, sunbathing on long-stretching white-sandy coast to exploring the forest. 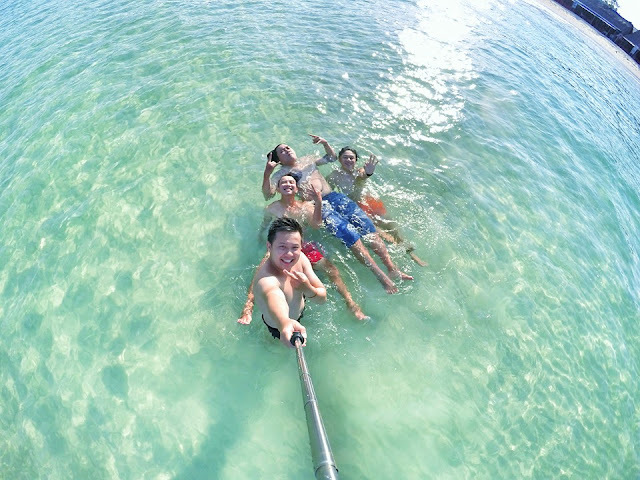 For those who are interested in marine life exploration activities, there are available facilities for water sports like: swimming, water skiing, paragliding, kayaking, kite flying, boat racing and scuba diving. This kingdom of aquatic animals is a collection of marine algae, sea grass, sea creatures and especially coral reefs. Far 120km from Phan Thiet, Thu isles only is 16 kilometres square long but it is really attractive. Only with a motorbike, you can find out the foundation of the isles and contemplate strong waves and Trieu Duong beach- the most romantic beach in the island. Besides, you should visit Cao Cat mountain that has Linh Son pagoda, Cam mountain lighthouse- the ideal place to see sunset in Vietnam. Phu Quy also owns charming coastline roads. 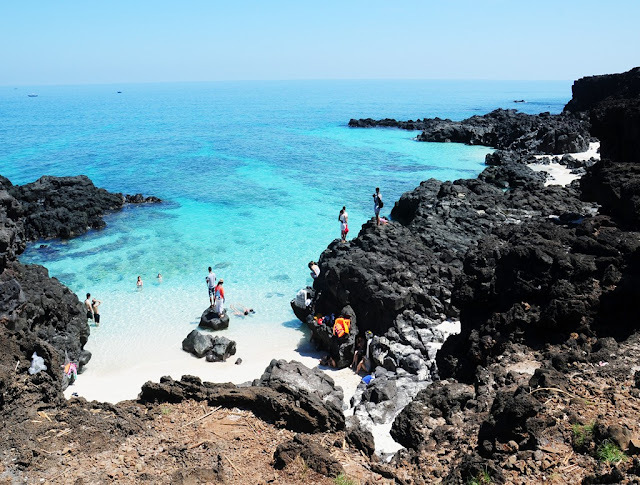 There are many beaches in Binh Ba. 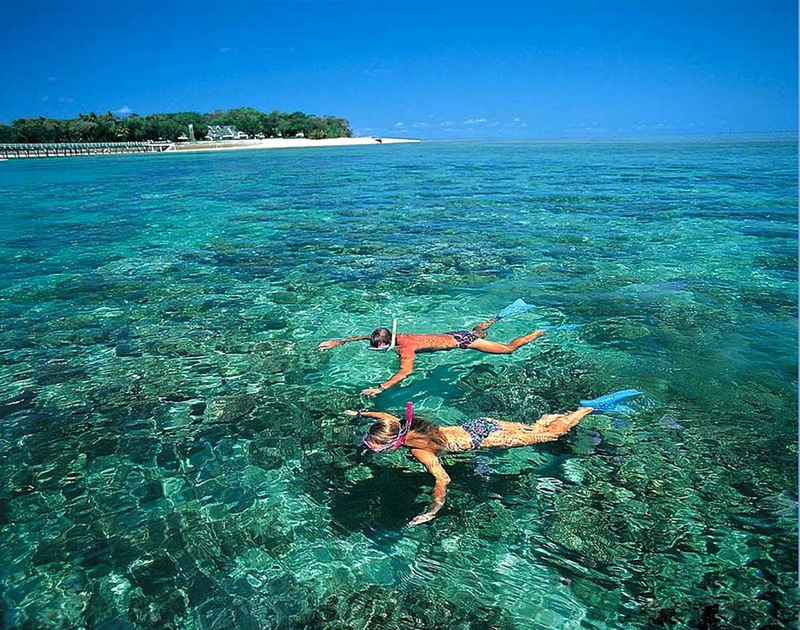 Among the most 7 popular beaches, there is only 3 ones you can reach by motorbike. 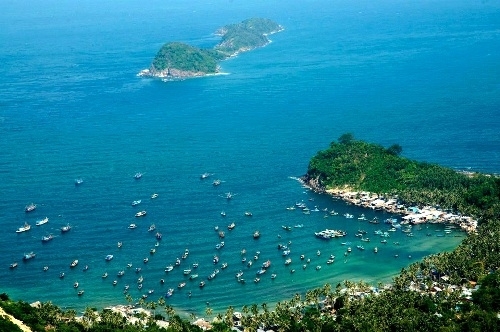 They are Nom Beach, Chuong Beach and Nha Cu Beach. Not only blue sea, white sand and romantic scenery, Binh Ba also attracts foodies by very distinctive cuisines. You don’t forget to visit Binh Ba market in the morning where you can find the best vermicelli, noodles, can cake, pancakes,quaivaccake,..All the dishes are so incredible at very affordable price. 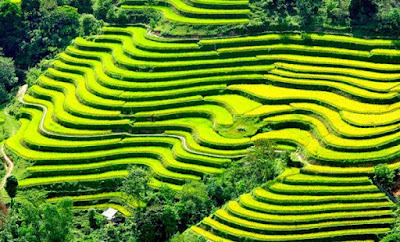 Ly Son has recently emerged as a famous destination, but as for Quang Ngai people and Central area people in general, Ly Son has existed for a long time and has historical meaning. Ly Son has To Vo gate, Quan Am Dai, Hang pagoda, Cau cave and National Flag Pole on Thoi Lôi peak and others pagoda. The specialty of Ly Son is quite different from others island, it is lonely garlic. To visit and explore Co To island in Quang ninh, you can spend one to 2 days to visit here. 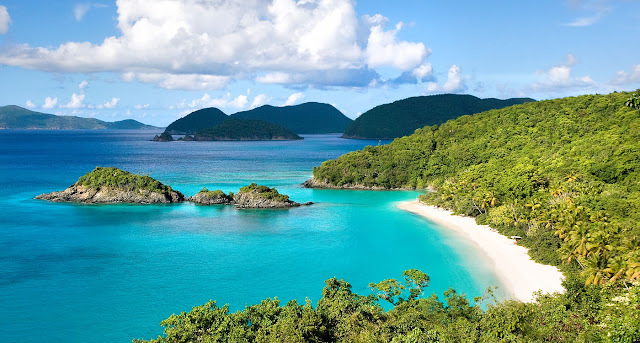 Some highlight destinations are Co To lighthouse, Van Chai, Hong Van and Bac Van wharf, Cau My rock reef and don’t miss Co To Con- a island don’t have resident. You should wake up early and go to market to buy seafood like squid, scallop, snail, etc. 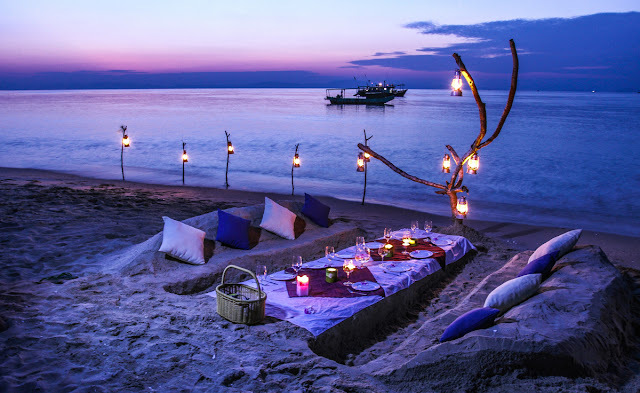 and grill it on the beach in night. Boat is the only way to get in Co To. 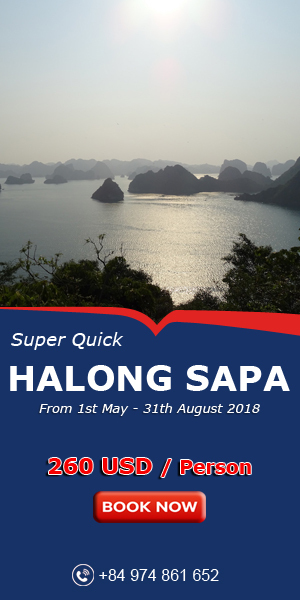 The boat starts from Cai Rong town (Van Don – Quang Ninh).Boat will run through the Bai Tu Long Bay, to pass to Quan Lan Island and come to Co To island, each trip takes between 3 to 3.5 h depending on the weather. Due to the military presence on the island a permit is required to stay on the island. The permit needs to be acquired in Ha Long city beforehand. If one arrive without a one will either be expected to pay a fine or be sent back to the mainland. However, this information does not apply to Vietnamese nationals. 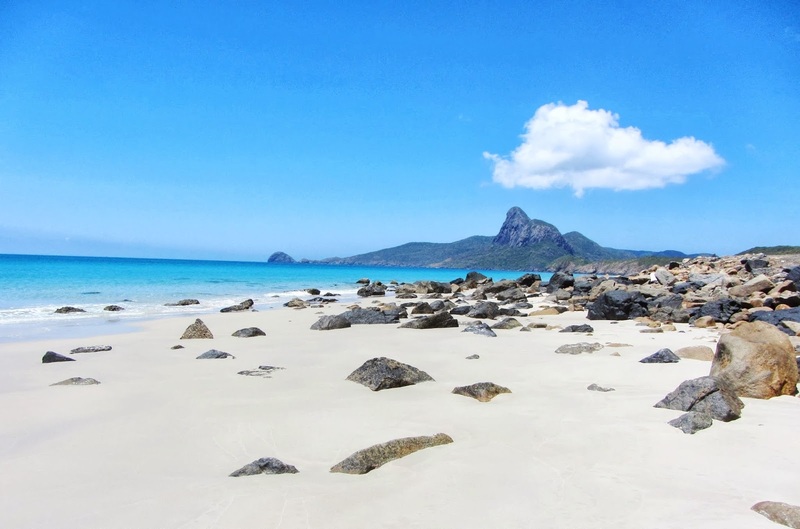 Nam Du (KienGiang) promises to be an extremely "hot" destination in this summer thanks to clear blue water, shady coconut trees on the sandy shores. 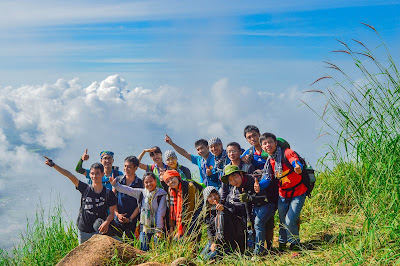 Here, you can admire the full paradise beauty of Nam Du Island, discover new angles and capture the most stunning pictures of your KienGiang discovery voyage. Situated near Binh Ba Island, Binh hung unspoiled tourist should still pretty empty. The reason for this name: there is a fresh water stream flows through inside, the sea is outside. Binh Hung also attracted by Hon Chut Lighthouse, Eggs Stone Beach and other tourist services. In addition, there is also exotic beach- Kinh Island with 3 colors water, blue water see bottom, white sand will fascinate the person who come here. It is located on Kien Giang Provice, Ba Lua archipelago has 3 large islands: Heo islet, Ngang islet, Nhum Ba islet and many other smaller islands. Here, you will be shown your ability for catching crabs and fishing then enjoy at there. At the time water is shadow, the most interesting thing in Ba Lua archipelago is you can walking from this island across another without any floats or swimming aids.